Scotland recently introduced a minimum-per-unit price for alcohol sold in stores, which has led to price increases – particularly for stronger alcohol. 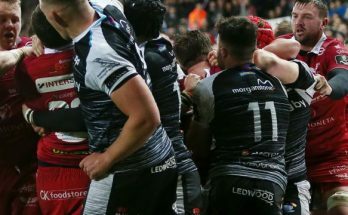 Wales is set to follow suit, with the Minimum Alcohol Price Bill currently going through the legislative process and likely to be passed by the end of the year. While health organisations and the Welsh Government believe it’ll be a vital tool in reducing alcohol-related deaths and illnesses, as well as underage drinking, others – including UKIP – believe it penalises those on low incomes the hardest and is unlikely to be effective. Notes the problems caused by harmful drinking and the damage substance misuse has on families and communities. Agrees that the proposal for a minimum unit price for alcohol will have a detrimental financial impact on the poorest people in society and also agrees the suggested value of ~50p-per-unit will fail to make any substantial change to the amount of alcohol consumed by alcoholics. 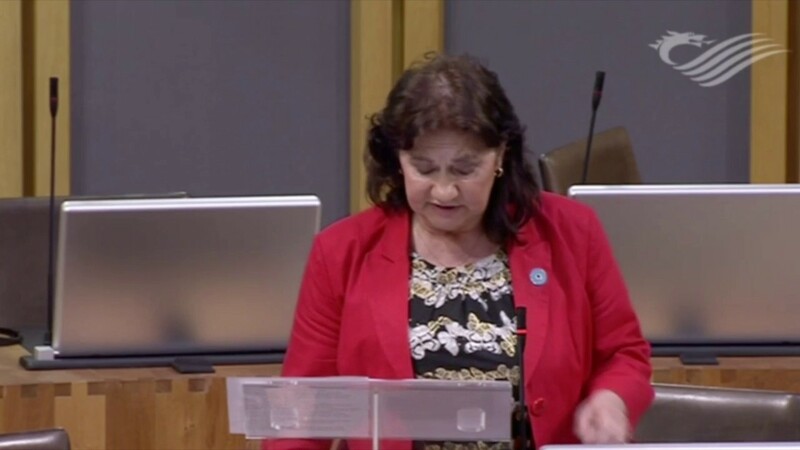 Calls on the Welsh Government to abandon the Minimum Alcohol Price Bill and do more to tackle alcohol misuse without resorting to minimum pricing. For (the motion): The evidence supporting the proposal doesn’t stand up. 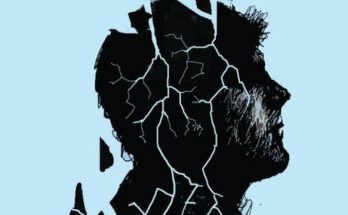 People with addictions are “driven by demons inside” (figuratively-speaking) and are unlikely to be put off by price hikes. The overall amount of alcohol consumed has fallen since 2005; higher earners are more likely to drink than lower earners and are less likely to respond to a price increase. Minimum pricing is a general imposition on the whole population to change the behaviour of a small number. In EnglandandWales, alcohol-related deaths accounted for 2.6% of all deaths, much lower than nations with high alcohol prices like Finland (9.8%), Denmark (6.5%) and Sweden (3.2%). In order to make an impact, the minimum price would have to be much higher than 50p-per-unit, possibly £1. The principal beneficiaries are likely to be supermarkets as they make more profit (as it isn’t a tax). Against: This isn’t how you change Bills, UKIP. The general principles of the Bill have already been discussed and evidence has been taken by the Health Committee – on which a UKIP AM sit and didn’t properly engage. She agreed the Bill isn’t as good as it could be, but the way to fix that is to propose amendments; the Conservatives proposed an amendment at Stage 2 on the 50p price, but UKIP members abstained. The Assembly will need to decide as a whole whether the Bill is working as it approaches the built-in “sunset clause” date in five years time. For: Changing prices changes behaviour. Pricing and promotions were once one of the most important marketing tools for tobacco companies; raising prices saw declines in smoking. However, we accept that someone can drink moderately with little ill effect (making the Bill well-balanced). It should ideally be a tax so the money can be spent as we see fit, but it isn’t because powers over alcohol taxation are non-devolved. He wants to see more data and modelling on whether 50p-per-unit is the right price; he feels “it’s a little high”. For: It could lead to addiction substitution. The methodology behind the Sheffield University research used by the Welsh Government has been challenged by other academics and think tanks; the Centre for Economics & Business Research believed it didn’t properly distinguish between different types of drinking behaviour. Huggard Centre (homelessness charity) believes the proposal could see some people shift from alcohol addiction to another addiction – such as spice. Against: Alcohol is a cancer risk. Cancer Research said alcohol is the third-biggest preventable risk factor for developing cancer. 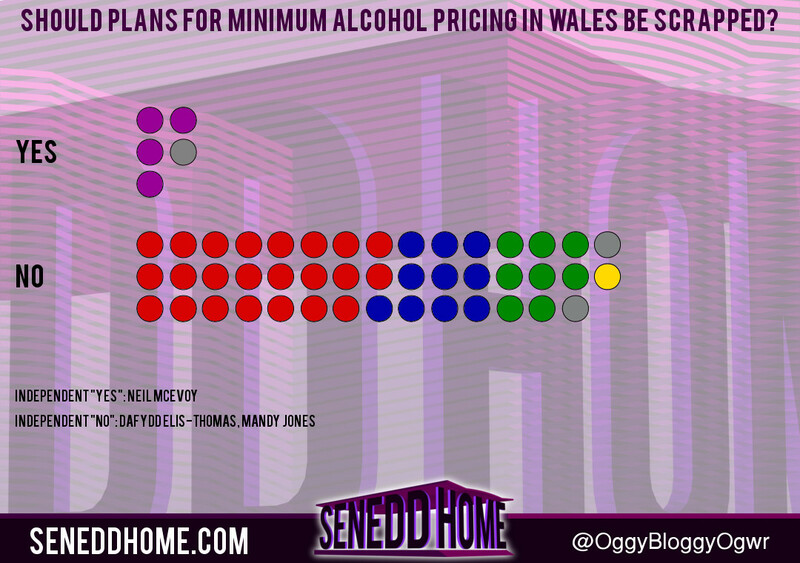 37% of alcohol sold in Wales is at less than the 50p-per-unit price. Against: Alcoholics aren’t the target of minimum pricing, those at risk of becoming one are. Alcohol is a Class 1 carcinogen (highest risk), linked to mouth, throat, liver and bowel cancer. 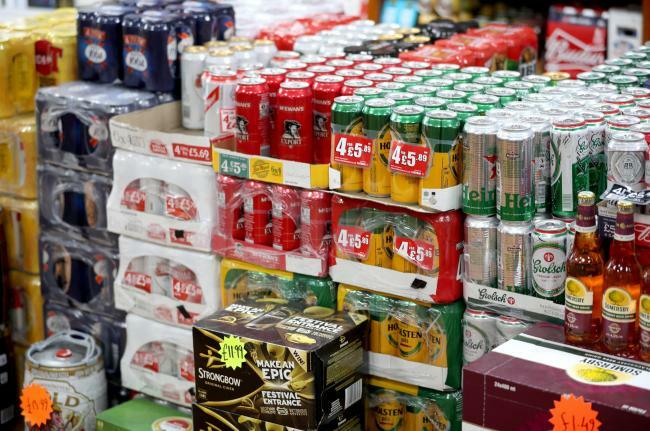 Minimum pricing targets heavy drinkers who are not alcoholic. A Canadian study showed a 10% increase in alcohol prices resulted in an 8.4% reduction in consumption. For: Tu quoque/Appeal to hypocrisy. Labour AMs feel they know what’s best for everyone. “Is there anyone here who doesn’t drink too much on occasion?” There are AMs who drink too much outside of working hours. It’s a tax on lower incomes. The Welsh Government won’t support the motion as the Bill will reduce harmful levels of alcohol consumption. Grandstanding by UKIP and others shouldn’t be used to torpedo an important piece of legislation. Minimum pricing is a long-standing commitment by the government, backed by international evidence that higher prices reduce consumption. The proposals have been consulted on twice, and both times well-received. There’ll be a further opportunity to propose changes to the Bill and vote for or against it at Stages 3 and 4.